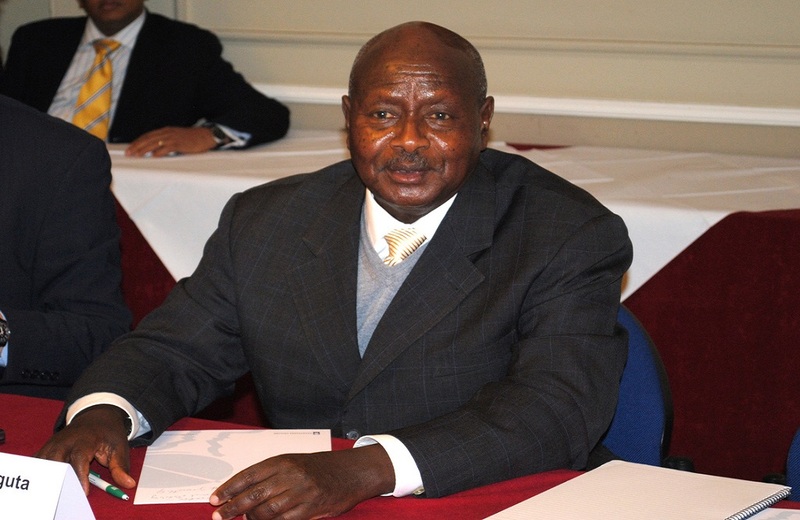 Uganda’s incumbent president Yoweri Museveni recently implied that he loves the way Donald Trump might be breaking the pattern of powerful states’ paternalistic approaches towards Africa. Museveni’s declaration of love for Trump came in the context of the proceedings of the 6th High-Level Forum on Security in Africa conference in Ethiopia, which brings together African leaders and stakeholders to discuss African-led security solutions for the continent. The end of Africa’s dependency on donors? Museveni applauded Washington’s new policy towards Africa in which its official humanitarian and development engagement with the continent is expected to decline. The apparent logic of the argument is that once the aid and engagement diminish, Africa’s protracted dependency on donors also lessens and provides the African leaders more leverage to make decisions that benefit their own states and people. However, although in his speech Museveni gave a number of examples on how he had stalled outsiders’ plans to exploit Uganda’s natural resources for their benefit, such actions do not represent the whole truth. In fact, the dominant pattern in African international relations continuous to be that African leaders still too often succumb to the desires of the outsiders interested in exploiting African resources. Efforts to effect such exploitation penetrate administrations in which leaders and individual high-level public officials still too often accept financial or economic rewards for facilitating access. For example, one of the biggest scandals currently, the Shell oil company’s illegal dealings in Nigeria, is a case in point. It shows how leaders often use their public status and position of influence to facilitate external interests in the resources sector in return for private economic rewards. Museveni is partly right in claiming that certain patterns of wider economic dependency may be motivating some of such decisions. Yet, many of them are also motivated by the public officials’ willingness to put their personal interests before those of the wider communities they claim to serve. Therefore the protracted predicament is currently not solely about the former colonial master states and powerful international corporations dictating the terms of African dependency, but also about such dependency being perpetuated by the African leaderships themselves. In addition, particularly from African dealings with Asian powers, it becomes quite clear that it is not always dependency that dictates the African leaders’ approach towards external interests in African resources, but rather the motivation to acquire personal financial resources through showy grand-scale infrastructure developments that may or may not be particularly helpful for the people. Changing this way of behaving by the powerful elites holding political office or otherwise influential status requires more than just breaking the pattern of dependency. It requires an overhaul of deep-seated and institutionalized political culture in which holding a public office, or positioning oneself close to an office-holder, is primarily associated with personal wealth acquisition and distribution and only secondly serving the wider public. As a result, although breaking the pattern of dependency with the former colonial powers might in itself be positive for Africa, it does not provide a sufficient solution for improving political culture and established practices.